We are working with microsoft for the localisation of Windows and Office into three Nigerian Languages: Hausa, Igbo and Yoruba. This project (funded by OSIWA) is aimed at using speech recognition and speech synthesis to make literature available to people who cannot read nor write. This way, we hope to redefine literacy as the capacity to interact with literature rather than the ability to read and write. 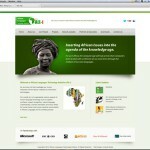 We are also involved in developing machine translation between Igbo and English as well as Yoruba and English. These projects are making impressive progress, providing unique and important insights into the Natural Language Processing (NLP) of African Languages. We are developing a functional corpus of computer readable Yoruba texts in standard orthography and a Statistical Language Model (SLM) of Yoruba. 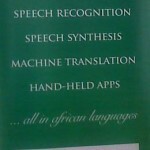 We have developed a novel approach to the speech recognition of African tone languages, using Yoruba as a pilot language. This approach is based on the use of tone information to increase the speed and accuracy of the recognition process. We are continually involved in popularising various aspects of human languages technology in Africa, ever reaching out to more universities and other relevant institutions through the Bridge-Building seminars and other workshops. We strive to encourage the building of bridges between relevant departments and faculties in African Universities as well as facilitating curricular review to accommodate developments in HLT. 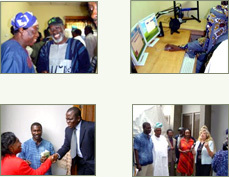 As part of the Nigerian Community Radio Coalition, we are actively promoting the use of community radio broadcasting as a means of vitalizing minority languages and documenting oral texts.